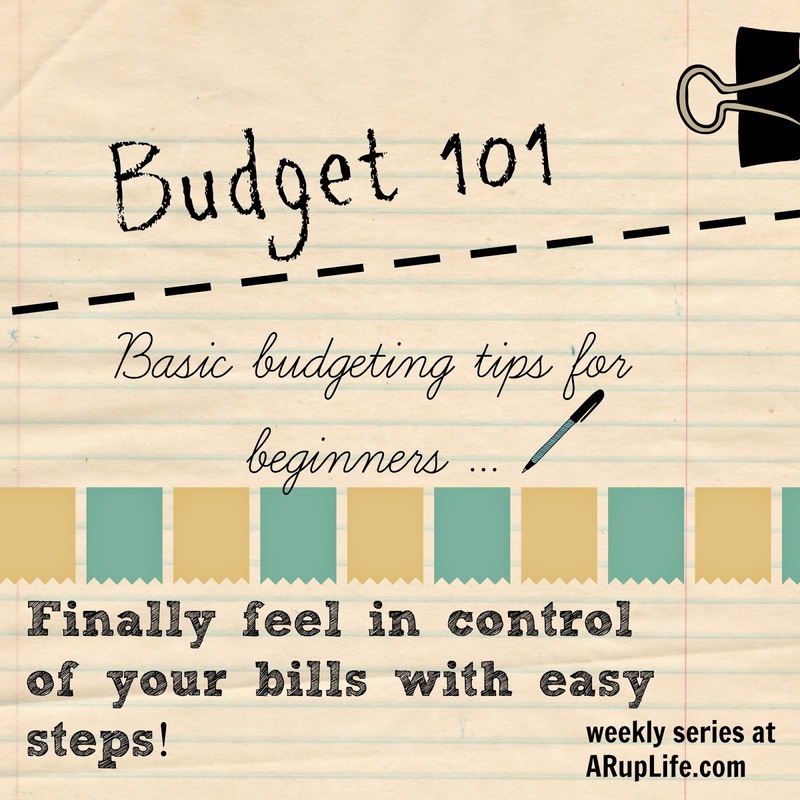 We are on week 5 of Budgeting 101! This is one I'm personally working on. Keeping some emergency money. See here is the thing - if you don't - you will have to borrow. Either from family/friends or from your credit card. So having an emergency fund is SO important! Start with $100! Put it in a safe place. It is not "I want pizza tonight money" or "I really like those shoes on sale money" - it is "my tire busted and I don't have any money to replace it - money"
Then try to add some to it each week. $5 or $10 if that is all you can spare. Your goal should be to save at least $1000 up in emergency money. This way if your heater breaks - your covered. Your car breaks - your covered. Once you get to that goal - Set a BIGGER GOAL. Ideally we should all have 3-6 months salary saved up for emergency. This is a long term goal of mine but well we are at the beginning again with the $100! See we have hit those hard times and that money we had saved really helped us to have some breathing room. Thank God for the wisdom to prepare for that rainy day. So remember start small - saving just $100 and adding to it slowly. Thanks for sharing! I've been away from blogger for almost a year. I'm glad I came across this post while going through the blogs I follow. I'm really wanting to get better organized and better at having a budget. I've read it's not easy, but you gotta stick to it. I will check all your post and read up and take notes. Again Thanks for sharing.